The Volkswagen Touareg was the first mainstream SUV of the modern era produced by the German automaker. It made its debut in 2002 with an all-new platform co-jointly built with inputs from the Volkswagen Group’s sister companies such as Audi and Porsche. The Touareg soon became a big hit with customers that were seeking to buy a luxury mid-size SUV. It offered great practicality, good off-road prowess, powerful engines, decent on-road performance, and a comfortable interior. The name “Touareg” comes from a tough and cultured North African tribe of the same name. The first generation of the Volkswagen Touareg ran successfully up until 2010, when the German marquee launched the second iteration of this mid-size SUV. 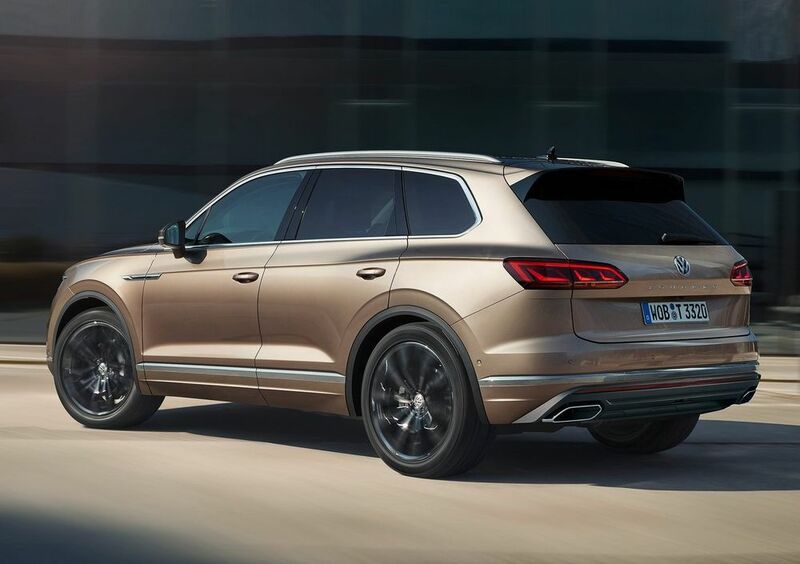 However, the all-new, thoroughly updated and revised third generation avatar arrived only now as the 2019 Volkswagen Touareg. Just like its more posh cousins, the new Touareg, too uses the VW Group’s MLB platform. It also looks more upscale and has better technology onboard as well. Its chief rivals in the UAE include the Audi Q7, Jeep Grand Cherokee, Jaguar F-Pace, and Volvo’s XC90. Compared to its dull predecessor, the 2019 Volkswagen Touareg looks sharp, sophisticated, and modern. Its design isn’t radically different from the old one, just a lot more contemporary and interesting. The front gets a wider grille with several chrome embellishments, ravishing double-beam LED headlights, turn indicators and daytime-running lights. The sporty front bumper gets its own chrome treatment, strong creases, and multiple air intake channels. The fashionable hood design looks cool, too. Along the side, the new Touareg’s muscular stance is unmistakable. The bold 19-inch wheels with their flared arches, smart-looking body cladding, muscular rear haunches, and some more chrome add to the overall charm of this SUV. The rear end features brilliant, 3D-style LED taillights, a prominent roof-mounted spoiler, and a well-proportioned bumper with stylish dual exhausts. 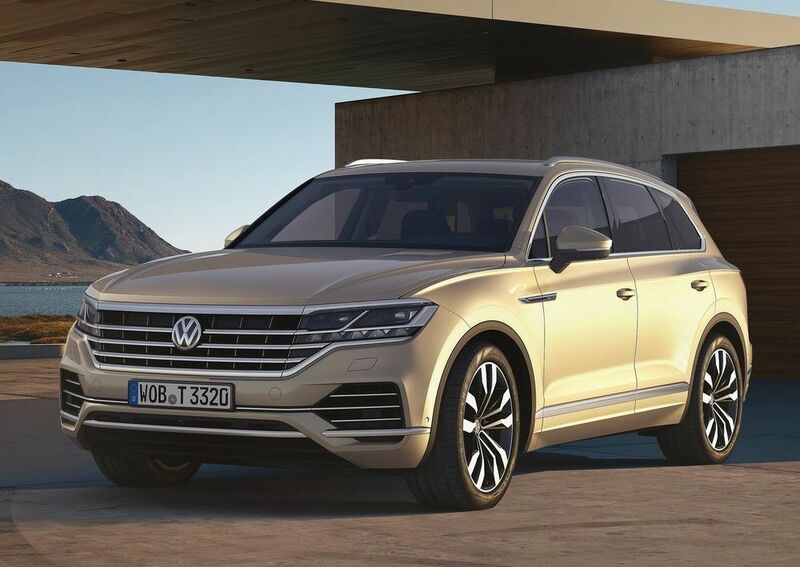 Dimension-wise, the 2019 Volkswagen Touareg measures 4.878 meters in length, 1.984 meters in width, 1.717 meters in height, and its wheelbase stretches 2.904 meters. Meanwhile, this 5-seater SUV can haul up to an impressive 810 liters of cargo, if required. The cabin design of the new 2019 Volkswagen Touareg feels premium, modern, and undeniably more upmarket than that on the older car. From the gentle curves and interesting angles, to the general layout and textures of the materials feel great. The build is solid, and so is fit & finish of all the trim pieces. The space in the cabin is excellent, too, with appreciable amounts of knee, head, and shoulder room for everyone. As for its conveniences/features, the 2019 Touareg is equipped with acoustic windshield, adaptive LED headlights, radar cruise control, power tailgate, adaptive dampers, panoramic sunroof, multi-zone climate control, head up display, ambient lighting, a fully-digital driver’s display, a touch-infotainment system with navigation, and a premium sound system. Some of the safety tech includes 6 airbags, active headrests, collision detection, blind-spot and lane-departure assist, hill-descent control, all-around parking sensors and camera, and a tire-pressure monitor. The 2019 Volkswagen Touareg can be equipped with one of two turbocharged powerplants: - a 2.0-liter four-cylinder or 3.0-liter six-cylinder. Where the former dishes out 250 hp with 370 Nm, the V6 motor produces 340 hp with 450 Nm of torque. All Toauregs in the UAE get all-wheel-drive and an 8-speed automatic gearbox as standard. Also, the 340-horsepower Touareg V6 can do 0-100 km/h in 6.2 seconds, and achieve a top whack of 235 km/h. Prices for the 2019 Volkswagen Touareg start from AED 192,450 for the base 2.0-liter version and AED 239,300 for the top-of-the-range V6 trim. Meanwhile, cost of insurance ranges between AED 4,330 to AED 5,384.